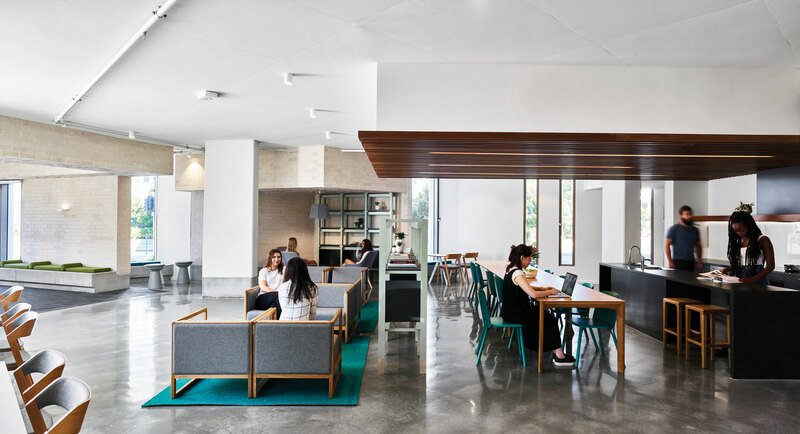 Glen Road centres on the translation of education research and state of the art pedagogy principles into communal spaces that support interaction and learning. 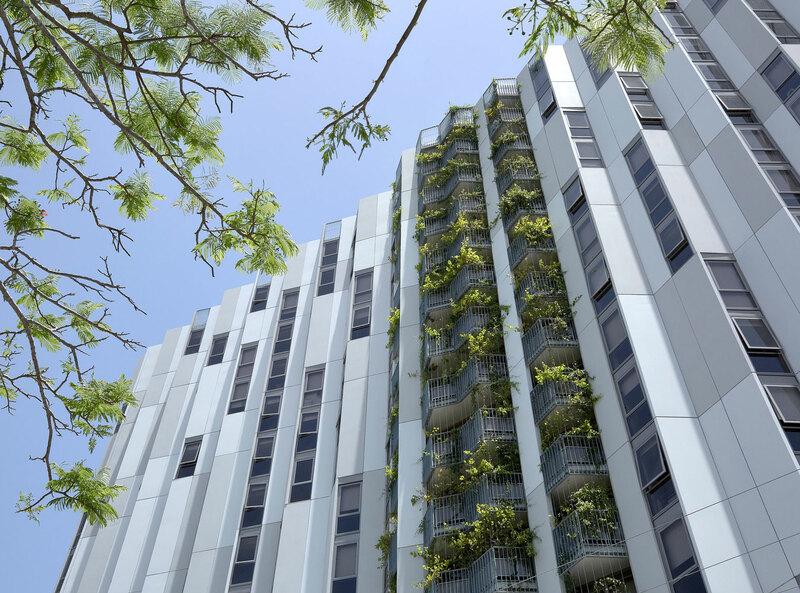 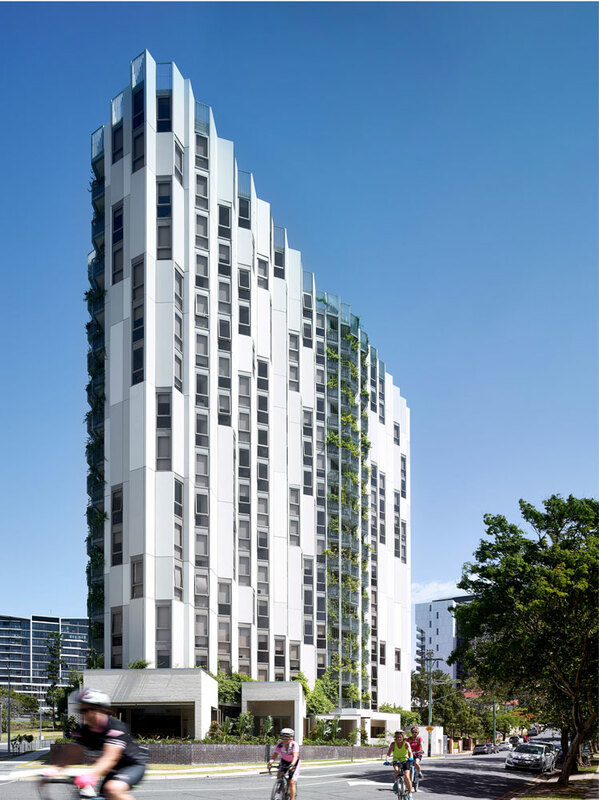 Signalling a new generation of student accommodation design and innovation, the project is one of several Hayball is delivering for Blue Sky / Atira Student Living. 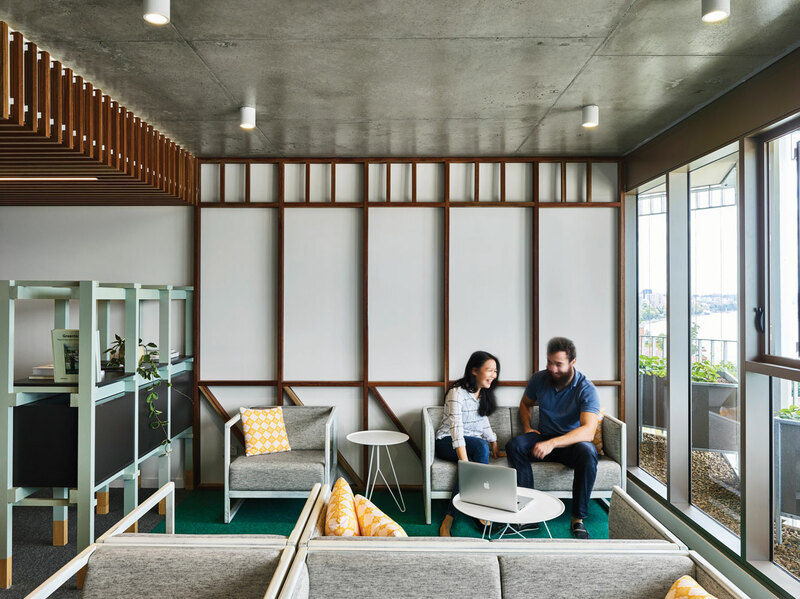 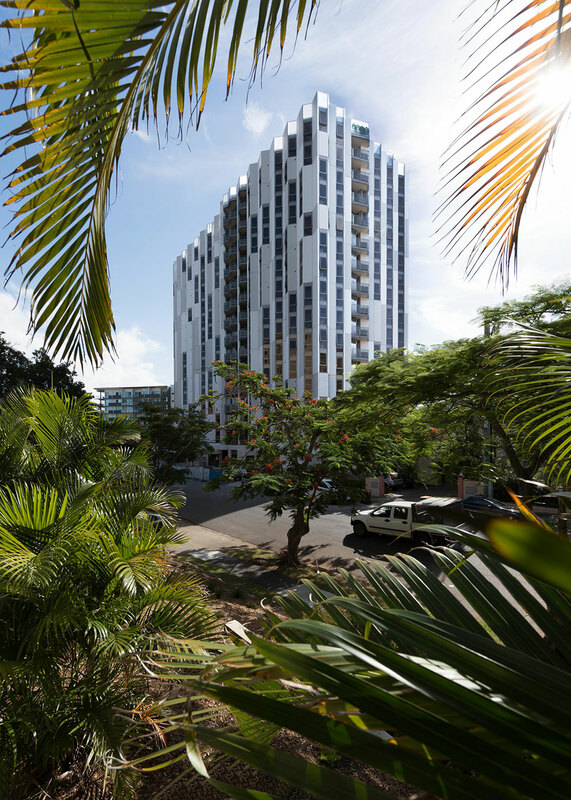 Providing a mix of single bed studios, twin rooms and 5-6 shared living clusters, the built form leverages off the notions of on-site community, eschewing a homogenous and conventional approach. 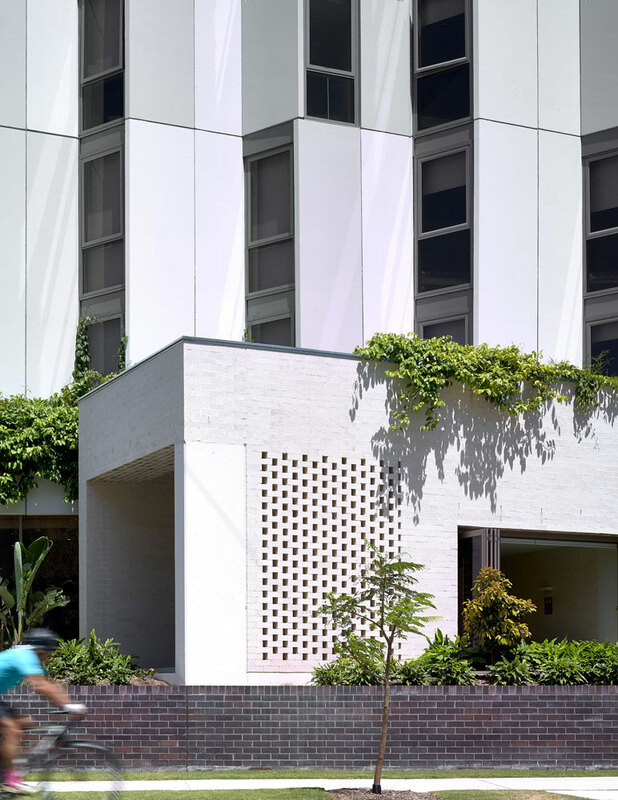 Cultivating an active outdoor lifestyle in the sub-tropical climate, lush vegetated outdoor terraces provide areas to meander, places to pause and sit, and zones for informal gathering. 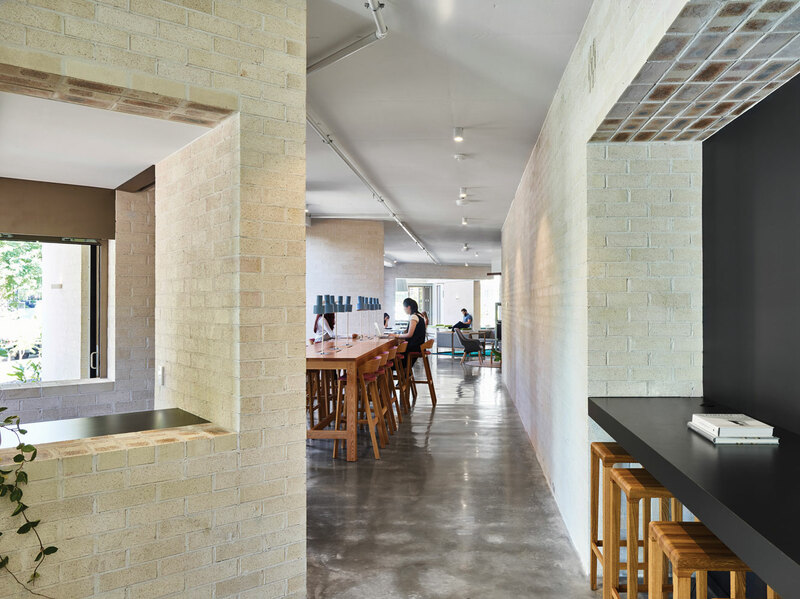 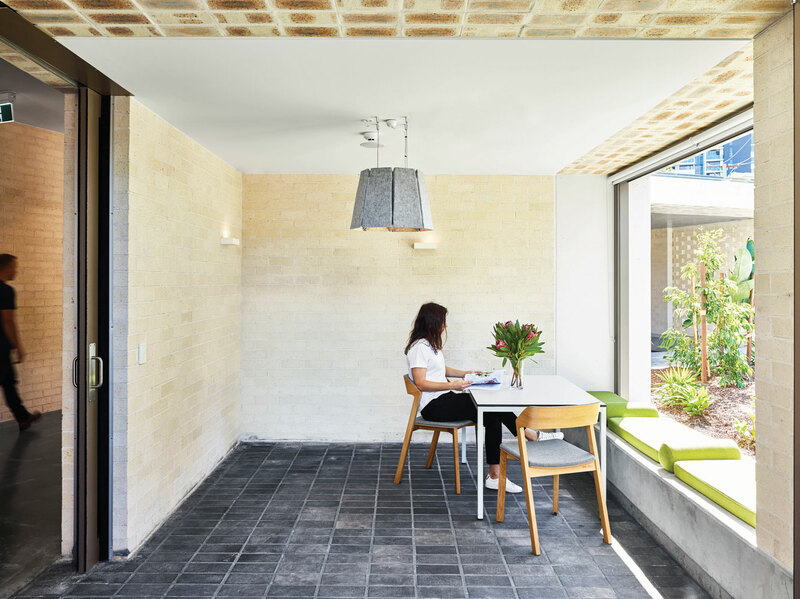 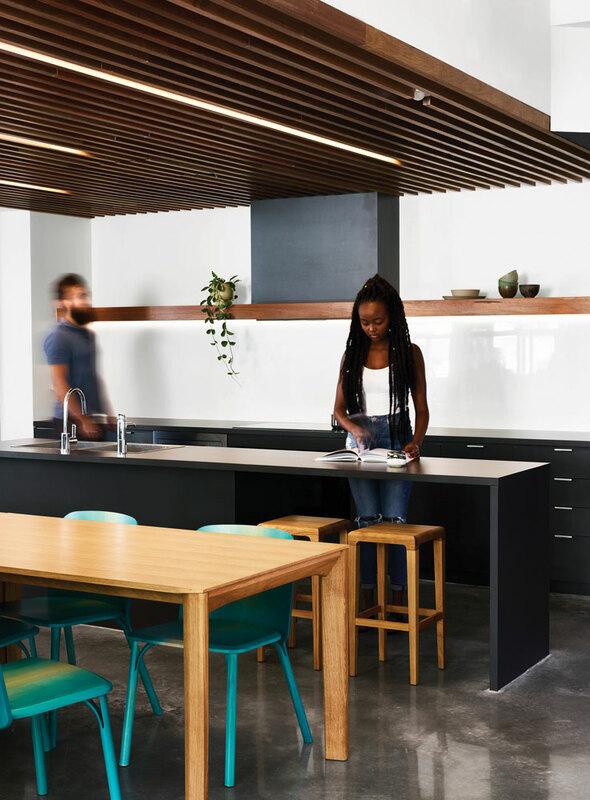 The students form a connected, active and engaged on-site cohort bringing energy and enthusiasm to the shared experience of their inhabitation. 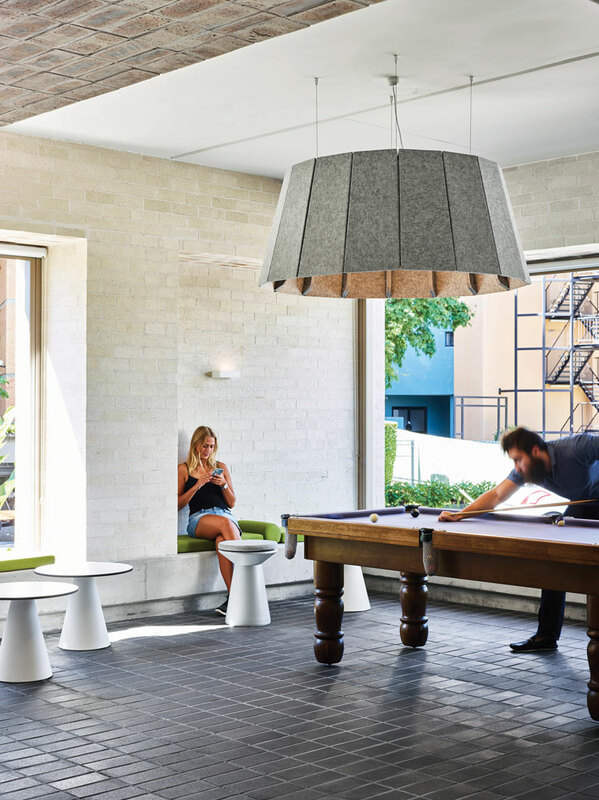 At the heart of the scheme are spaces for students to connect and ‘opt in’ to social activities, including a vast rooftop whose facilities include an outdoor gym, bbqs and a games green.